Mount Macolod, sometimes called Mount Makulot is a mountain located in north-west of Cuenca, Batangas, Philippines. Mount Maculot is one of the famous destination of mountaineers. the trail is busy and sometimes having a traffic of hikers coming up and coming down. Children are visible: from the based camp, to the trail even on the top of the mountain. The parents of these kids might found out that climbing is one of the best form of family bonding, as well as to awaken the young children the importance of mountain and forest preservation. The “Rockies” is located on the the northern side of Maculot. Affords a novel view of the mountain, the lake, the volcano, as well as the towns and the cities in the foot of the mountain. Stunning view, awesome rock formation, beautiful landscape, super incredible, spectacular. 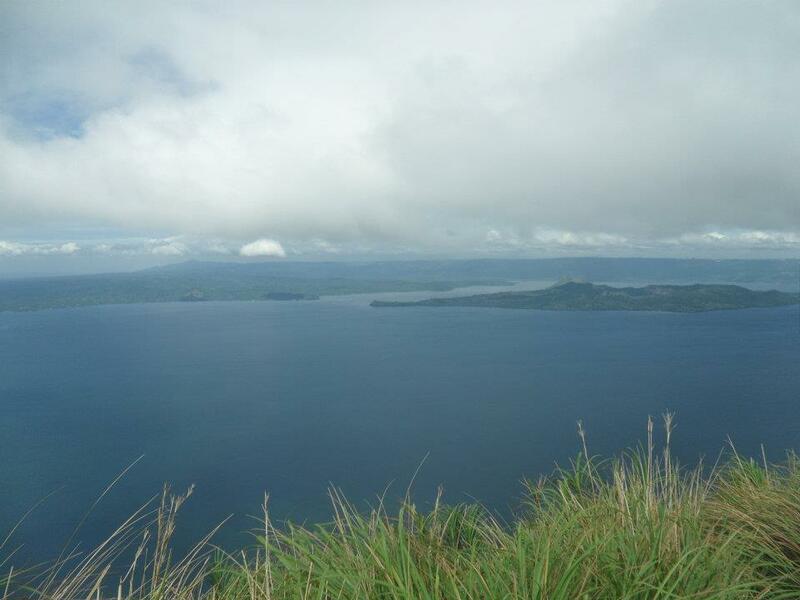 The majestic view of Taal Volcano as well as Taal Lake plus some view of part of Laguna Lake is really amazing. The difficulty of climb makes it really worth. The blow of the winds, the lust of green forest, blue skies, the entire surrounding make it complete gate away from stressful routine in the city. Arriving the “Rockies” climbers are scattered around the summit. They are silently sitting on the edged of the rocks, taking time to feel the joy of watching such wonderful view. Mount Maculot is adopted by the Philippine Air force for the purpose of the preservation of the mountain. The marker is place at the view point at the other end of Maculot facing the “Rockies”. TV commercial and writes up in a number of magazine authenticate that the majestic view of this mountain is world class. Trekking to this mountain required a little patience. Trekking don’t requires to run like in competition. This is just a fun activity for all ages. Advisable to climb during dry seasons, the trail is become muddy and slippery during rainy season. This mountain have it own stop over from the foot of the mountain, to the middle and on the top, where you can buy, eat, drinks, such as halo halo, buko juice, energy drink mineral water, biscuit and some sitsirya. but the price is not just little bit expensive, instead the some of price is almost triple (Except buko juice and halo halo). Its better to bring own drinks and trail foods. This is another rewarding experience that I am proud of myself. In my simple way of appreciation, surviving Mount Maculot is a milestone of achievement in my mountaineering experiences. I want to fast appreciation to the writer for this superb post. one. A must red article! I just want to say I’m all new to weblog and certainly liked this web site. Most likely I’m likely to bookmark your website . You absolutely have awesome stories. Thank you for revealing your blog.